Open from 7:30 a.m. to 3:30 p.m. Monday –Friday, the Learning Commons is a quiet place for students to do homework, study, or read during their unscheduled time. The library collection includes a variety of material in print and electronic formats. Links to the catalog, databases, and e-books can be found on this page. See the librarian for password information. 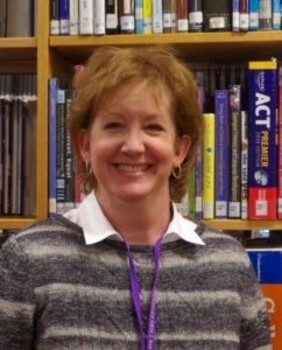 Susan Faron holds a Bachelor of Science degree in Elementary Education from Middle Tennessee State University, a Master of Arts degree in Information Science and Learning Technologies from the University of Missouri, and a K-12 certification as a library media specialist. The 2018-19 school year will mark her 18th year as an educator and 14th year as R-K’s librarian.